We often receive questions regarding West Nile Virus and Lyme Disease. Following is information from the CDC. According to the CDC, in Pennsylvania, in 2014, there were 12 confirmed cases of West Nile Virus resulting in 1 death. According to the CDC, in Pennsylvania, there were 37.2, 32.5, and 39 cases per 100,000 people reported in 2011, 2012, and 2013 respectively. Most cases of Lyme disease in the United States occurred in the northeast including Pennsylvania, Delaware and New Jersey. While we can’t eliminate all of the mosquitoes and ticks that transmit these diseases, we can provide you an enhanced outdoor experience with friends and family as you take back your outdoor living spaces. And that makes Aardvark Pest Control Services’ mosquito control service pretty worthwhile. 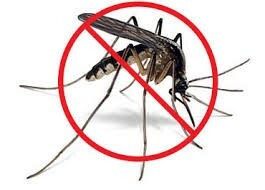 Aardvark Pest Control Services provides mosquito control services to Villanova, Radnor, Gladwyne, Aston, Garnet Valley, Glen Mills, Media, Lower Merion, Haverford, Devon, West Chester, Malvern, Kennett Square, Chadds Ford, Bryn Mawr, Rosemont, Wynnewood, King of Prussia, Swarthmore, Conshohocken, Narberth, Broomall, Havertown, and Southern Chester County.